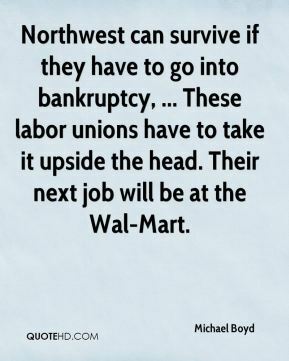 Northwest can survive if they have to go into bankruptcy, ... These labor unions have to take it upside the head. Their next job will be at the Wal-Mart. 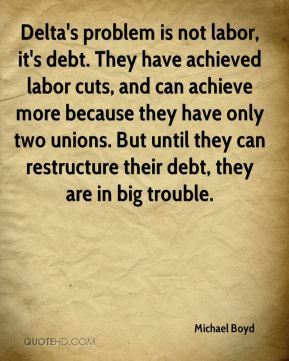 Delta's problem is not labor, it's debt. They have achieved labor cuts, and can achieve more because they have only two unions. 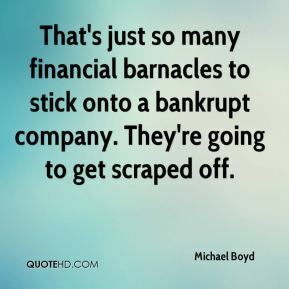 But until they can restructure their debt, they are in big trouble. Frontier Airlines is already losing money. JetBlue and AirTran are on the edge, and Southwest, had it not hedged fuel, would be losing money. Anything with a wing has problems with today's fuel prices. 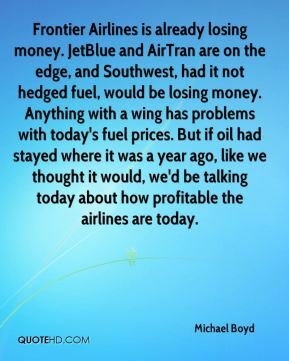 But if oil had stayed where it was a year ago, like we thought it would, we'd be talking today about how profitable the airlines are today. 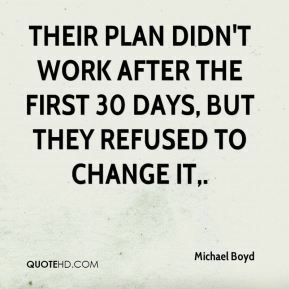 Their plan didn't work after the first 30 days, but they refused to change it. [Weighing about as much as an SUV and powered by two jet engines tiny enough to slip into the trunk of a car, VLJs have the aviation industry giddy with possibilities.] 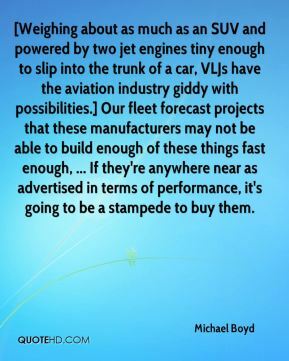 Our fleet forecast projects that these manufacturers may not be able to build enough of these things fast enough, ... If they're anywhere near as advertised in terms of performance, it's going to be a stampede to buy them. 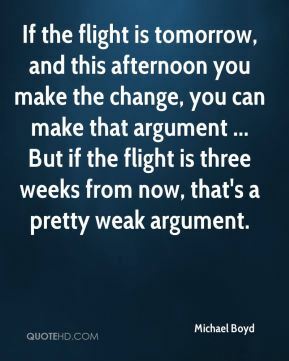 If the flight is tomorrow, and this afternoon you make the change, you can make that argument ... But if the flight is three weeks from now, that's a pretty weak argument. 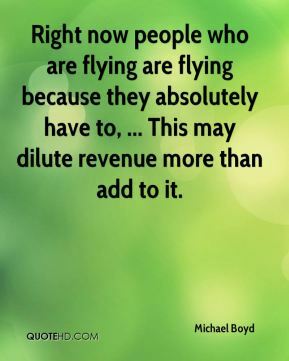 Right now people who are flying are flying because they absolutely have to, ... This may dilute revenue more than add to it. 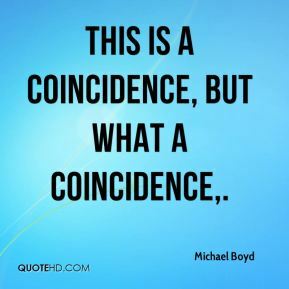 This is a coincidence, but what a coincidence. 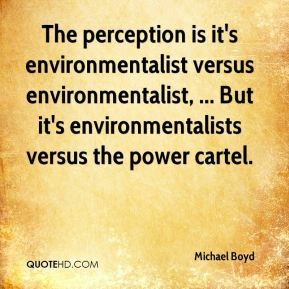 The perception is it's environmentalist versus environmentalist, ... But it's environmentalists versus the power cartel. 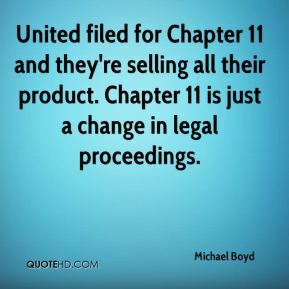 That's just so many financial barnacles to stick onto a bankrupt company. They're going to get scraped off. 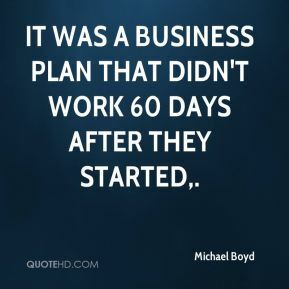 It was a business plan that didn't work 60 days after they started. 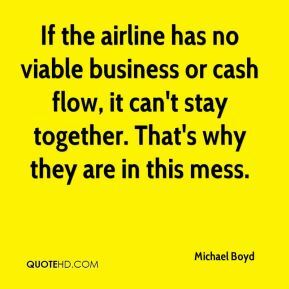 If the airline has no viable business or cash flow, it can't stay together. That's why they are in this mess.